Phase-sensitive amplification (PSA) is a particular type of optical parametric amplification (OPA) that features a low-noise property such that the quantum-limited noise figure is 0 dB. 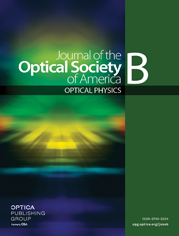 The PSA operation is typically achieved when the signal and idler spectra are degenerate in optical parametric interactions, i.e., the degenerate OPA condition. However, for a spectrally broadened incident light, these two spectra can be partially degenerate. The present work investigates the noise property of OPA in such conditions in terms of quantum mechanics. The results quantitatively indicate the intermediate properties between PSA and phase-insensitive amplification.